Delusions, paranoia and hearing voices have long been signs of mental illness. But psychiatrists are reporting a new variation. While patients in years past may have feared the CIA, some patients now believe they're being watched and tracked, reality show-style. 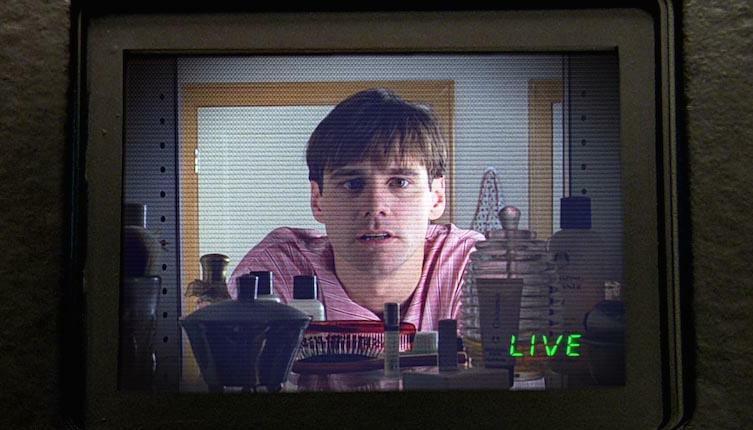 It's being called the "Truman Show" delusion or T.S.D., after the movie in which Jim Carrey plays a man who unknowingly stars in a reality TV show. With surveillance cameras blanketing some cities and people clamoring to have their lives broadcast on reality shows, psychiatrists are seeing more and more people — young people in particular — who believe they are starring in a show of their own. Here & Now speaks with Dr. Joel Gold, the psychiatrist who coined the phrase "Truman Show delusion," and to Nick Lotz, a patient who was featured in the New Yorker article "Unreality Star." Nick Lotz: "It's this belief that everything in your life is scripted out, and that it's all been organized ahead of time. And it's all-encompassing in the sense that everything in your life around you is part of the television show." "I never believed that no one believed me. I believed that they knew what was going on and they just weren't telling me what was going on ... because that was all part of the television show." Dr. Joel Gold: "I did start seeing these guys about ten years ago, and essentially they all described very similar themes to what Nick just described: feeling as though their family perhaps were reading from a script, there were cameras everywhere at all time, they had no privacy. And this was obviously — for most — very, very disturbing. For a small minority there was an excitement about it, that they were the most famous person on Earth. But eventually, even for those people, it became unbearable." “The 'Truman Show' delusion is not a new illness. We think it is a new kind of persecutory, grandiose, referential, controlled delusion. In this 'Truman Show' delusion we see things that could not have been observed 20 and 30 years ago because the technology just wasn’t there. Now we have closed-circuit televisions, we have reality television, YouTube. We have revelations that the NSA is listening … to all of our phone calls, reading our emails. And what impact does that have on the brain and mind of someone who is at risk for delusion? Dr. Joel Gold, clinical associate professor of psychiatry at New York University. He's author of the paper "The 'Truman Show' delusion: psychosis in the global village." Nick Lotz, patient featured in a recent New Yorker article. This segment aired on September 27, 2013.